There’s nothing like a fun game of ten pin bowling with family or friends, so if you enjoy this sort of thing look no further than Tenpin Swansea. Based in Parc Tawe, Tenpin is a modern 26 lane bowling alley, with a bar, entertainment, and snack area. To avoid disappointment book your bowling lane here. Seeing a good movie is not a problem in Swansea. 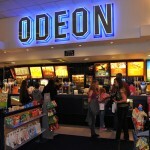 The Odeon multiplex in Parc Tawe is well equipped and is the place to go to watch the latest blockbuster. In addition there is the new Vue cinema which is based on York Street (just off Wind Street). This huge cinema shows all the latest films at a variety of times that will suit everyone. Together, these venues offer an excellent choice of film to see in Swansea City Centre. Laserzone – Laser zone is a high tech, live action laser gaming arena situated next to Swansea Castle. The multi level themed arena is an interactive centre with special effects, fog, laser beams, ideal for anyone over the age of 7 who enjoys an entertaining adventure! 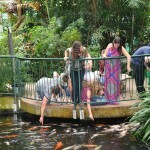 Visit Swansea’s indoor tropical centre to see and do something different. From insects, reptiles, fish and monkeys to bananas, pineapple plants, prickly cacti and giant bamboo – Plantasia has it all, and is perfect for that unique family day out, no matter what the weather! The largest and most well known Swansea Theatre, The Grand Theatre, is situated in the heart of the City Centre on Singleton Street and includes an interesting arts wing opened by Catherine Zeta Jones. Throughout the year it plays host to major touring companies performing a variety of musicals, plays, comedians, ballets and opera. The Dylan Thomas Little Theatre, also in the City Centre, provides the opportunity to see, hear and experience local and international talent including Clywd Theatr Cymru, Swansea University Players as well as the famous Little Theatre company.